Olive oil hasn’t been in China for long but it has already taken up a prominent place in Chinese cuisine. Smart local housewives have been whipping up delicious dishes with olive oil that still retain the unique oriental flavour. If you walk into any major supermarkets, you can easily spot a variety of olive oil products with labels printed in various foreign languages, with their prices ranging from tens to several hundred yuan. So how to choose the olive oil product that is right for your kitchen? Let’s go through the different types of olive oil below. Extra virgin olive oil: Extracted using exclusively mechanical methods within 24 hours of harvesting to avoid fermentation. During the whole process, the temperature cannot exceed 27°C. Further, the free acidity of the oil may not exceed 0.8%. There should be no defined sensory defects. 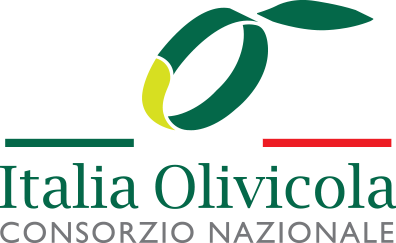 As well as chemical quality control, extra virgin olive oil must also pass a rigorous testing by a panel of experts who evaluate its organoleptic properties. Extra virgin olive oil is the highest-quality olive oil on the market. Virgin olive oil: Also extracted solely by mechanical means. The upper limit of free acidity is 2% and there can be some sensory defects. However, the oil must still be judged to have a good taste. Lampante olive oil: While this type of olive oil is also extracted using mechanical methods, it is not for human consumption; in the past, it was used in oil lamps. Refined olive oil: Obtained by refining lampante oils using physical and chemical methods. While the free acidity is less than 0.3%, this type of oil cannot be sold to consumers. Olive oil: Obtained by mixing refined olive oil and virgin olive oil, resulting in a free acidity of less than 1%. Crude olive pomace oil: Extracted, using a solvent, from pomace, the residue of the olives left after the mechanical extraction of olive oil. This type of oil cannot be sold to consumers. Refined olive pomace oil: Obtained by refining crude olive pomace oil by physical and chemical methods, resulting in a free acidity of less than 0.3%. This type of oil cannot be sold for consumption. Olive pomace oil: Obtained by mixing virgin olive oil and refined olive pomace oil. This type of oil has a free acidity of less than 1% and is fit for consumption. However, it cannot be described as olive oil. While it has a neutral taste and is not favoured by aficionados, it does have the same oil composition as regular olive oil and a relatively high smoking point, making it usable for cooking. After knowing the different types of olive oil, we will introduce you how to select the right olive oil in our next article.